She’s BFFs with Kendall Jenner and Justin Beiber. She’s the niece of Hollywood heavyweight Alec Baldwin. She’s the face of Topshop’s SS15 denim collection. To cut to the chase, Hailey Baldwin, the 18-year-old supermodel-in-the-making, is fast-becoming one of the world’s most stylish it girls. We’ve rounded up the four times Hailey wore really cool pieces that you could totally rock at work. Be inspired by her office-appropriate attire. Monochrome will never go out of style, which makes it an ideal workwear classic. You can re-wear the black and white look for seasons to come. Hailey, who usually loves her hoodies and gym gear, went all super-sophisticated in this shirt and skirt combo. Head over to ASOS for some similar styles, like one here for £25. Printed trousers are a great way to add a little extra dimension to your workwear wardrobe. If you aren’t feeling fearless enough yet to clash prints like expert Olivia Palermo, then try wearing them with a block coloured item like Hailey. 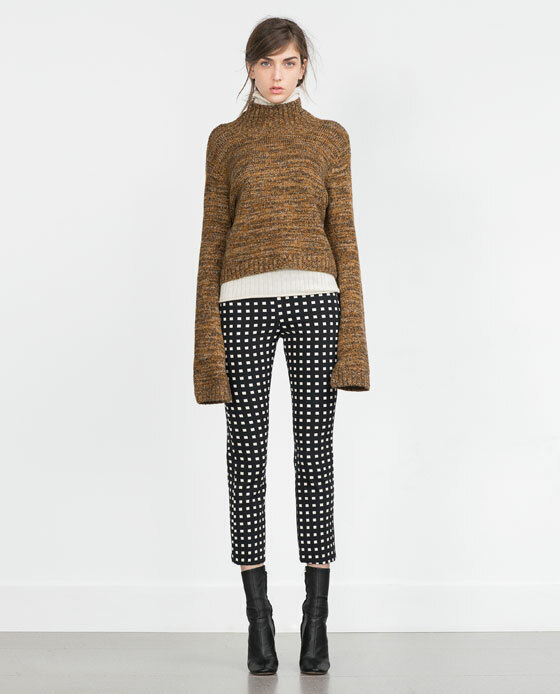 Zara has some super-chic checked prints right now, including these trousers, £19.99. If fashion week street style has taught us anything, it’s that this is the coolest way to wear a coat. Drape over the shoulders of your suit or blouse for an instant workwear wardrobe update, no arms in sleeves required. 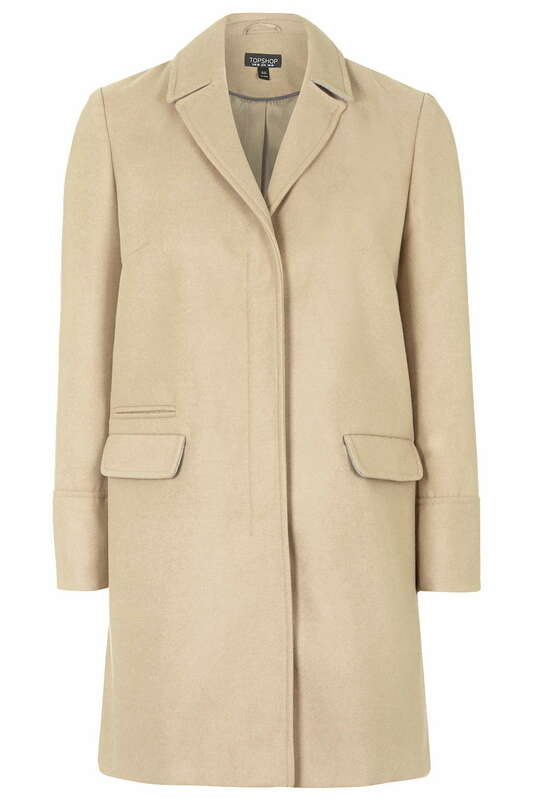 Note: The camel shade is perfection too, here’s a similar one from Topshop, £59. Hailey, we salute you. 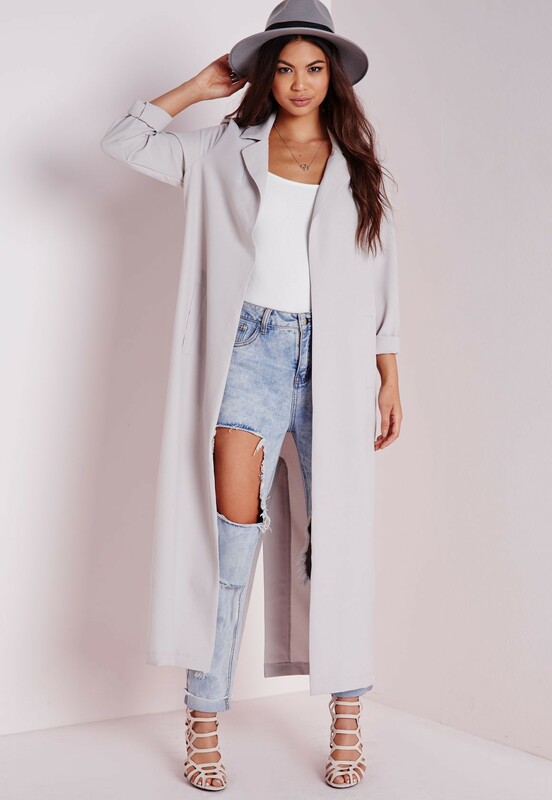 At List for Life we are big fans of duster trenches. Throw it over any look you want, and it will instantly smarten up your outfit. We could all do with a garment like that in our work wardrobes, couldn’t we! Take note – Hailey rolled up the sleeves of her duster trench for an added cool-factor. Effortless and nonchalant. Get a very similar coat to Hailey’s here from Missguided, £35.